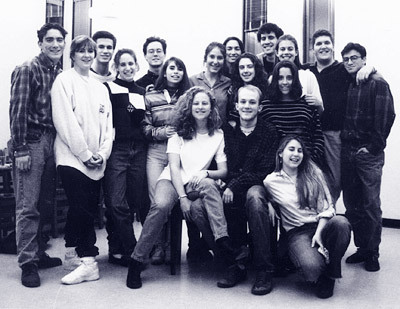 KJs in rehearsal - an earlier generation of Katz! With 44 years of rich history, KJ alumni are sprinkled across the globe. Katzenjammers can be found singing in New York nightclubs, on the Broadway stage, and on college campuses. They are not only singers, but also writers, teachers, composers, reporters, professors, computer scientists. Though their locations and vocations are varied, they share a common heritage: a deep love of music and a connection born of shared passion. It is this bond that makes the Katzenjammer Reunions arch sing each year such a sight to see-- and such a sound to hear! 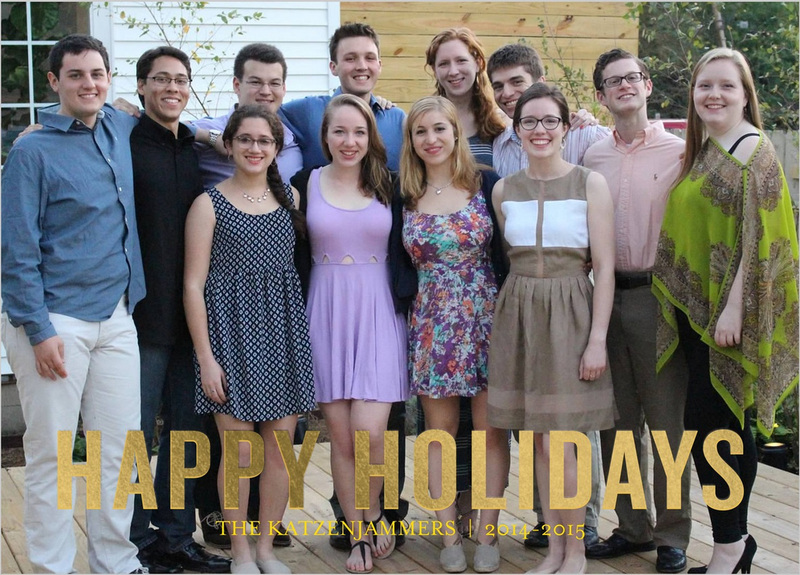 For alumni contacts, upcoming events, and many years of KJ history, visit the Katzenjammer Foundation website. Happy New Year, KJ Family! We've put together this New Year’s newsletter to bring all of you up to date on how the group has been doing in 2016! 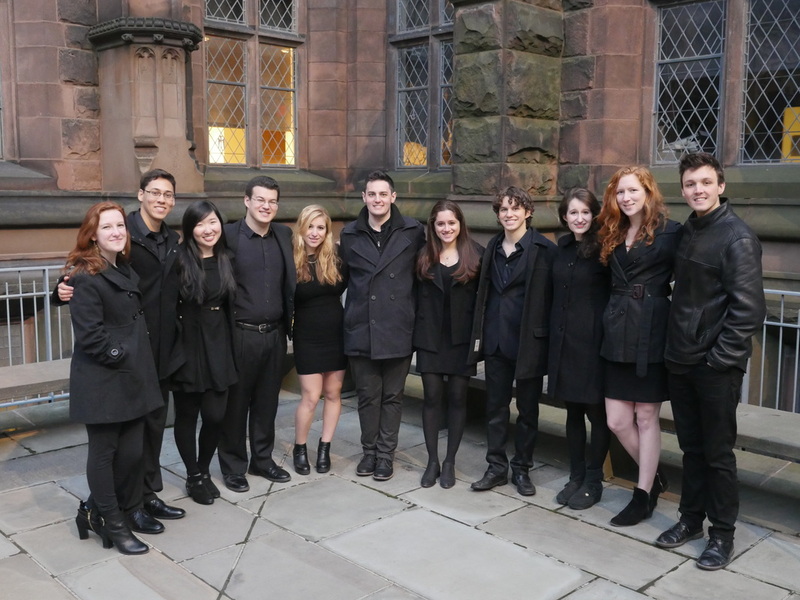 We’ve included updates on individual KJs - both current group members and recent alumni - and a round-up of our recent tours. Best wishes for a wonderful, beautiful, healthy, and happy 2017! We've put together this New Year’s newsletter to bring all of you up to date on how the group has been doing in 2015! We’ve included updates on individual KJs - both current group members and recent alumni - and a round-up of our recent tours. Best wishes for a wonderful, beautiful, healthy, and happy 2016! We've put together this New Year’s newsletter to bring all of you up to date on how the group has been doing for 2013-2014! We’ve included updates on individual KJs - both current group members and recent alumni - and a round-up of our recent tours. Best wishes for a wonderful, beautiful, healthy, and happy 2015! Banner Photo by Marcos Cisneros: Singing Old Nassau, 40th Anniversary Jam, Oct. 2013.